So it's almost time to put away our flip-flops, shorts and sundresses. Oh summer 2017, you were way too short! But let's look on the positive side. With fall's imminent arrival comes some fresh new looks to try—so if you're wondering how to update your makeup bag for the season, I've got you covered. As you know, these trends usually start on the runway, but I've also spotted them on a few of my favourite famous faces, who are already wearing them on the red carpet. I've included both in this guide (because we all know celebs are just a little more relatable than flawless 15-year-old models!). The makeup look at Christian Dior for fall 2016. 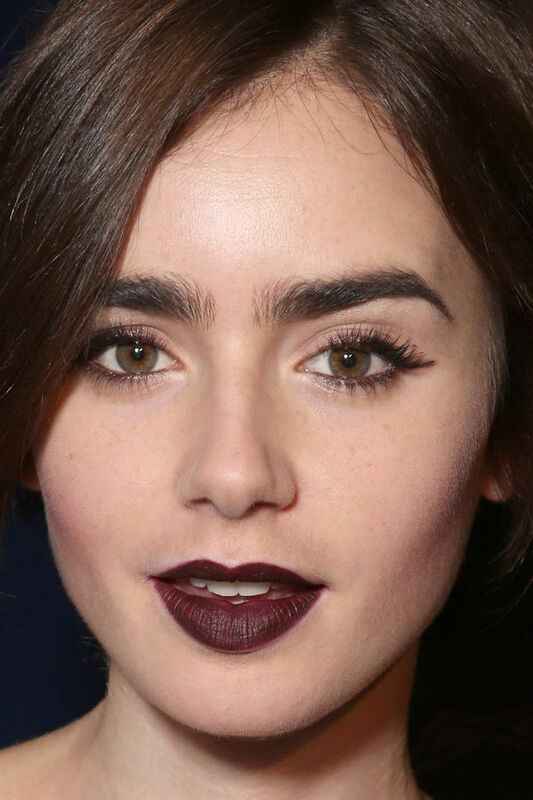 The biggest, most important makeup trend for fall is dark lips. VERY dark lips. Sure, we've seen oxbloods and berries before, but this year, the colours are much more blackened, and almost purplish instead of reddish. The finish is creamy, neither glossy nor matte. Lily Collins at the 2015 CAA Young Hollywood Party. Notice how she isn't wearing much blush, which is key when your mouth is this dramatic. Dark brows balance out the lips, and all that's needed on the eyes are long lashes. Liner optional. 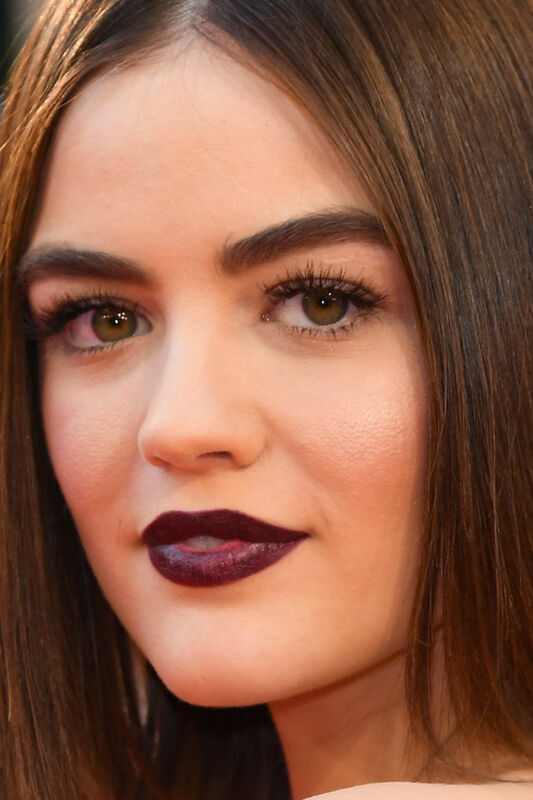 Lucy Hale at the 2016 MuchMusic Video Music Awards. This is the same formula as Lily: precise lips, big dark brows, barely-there blush and long lashes. I love how her flat-ironed hair adds polish. 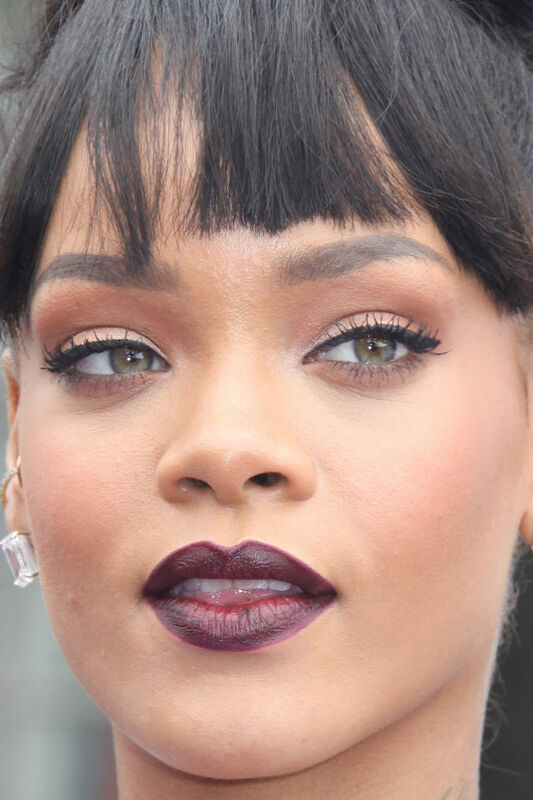 Her lipstick shape is so perfect, I could stare at it all day! She compliments the deep grape colour with a warm brown shadow and black liquid liner. This would be gorgeous for evening. The makeup look at Burberry for fall 2016. 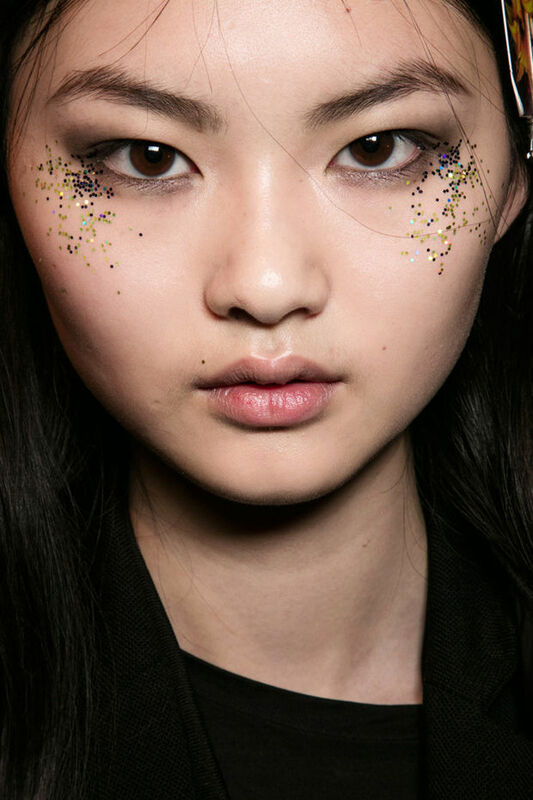 The second biggest trend—and by far the most surprising one!—is glitter. Yes, for grown-ups. The runway version is definitely exaggerated: designers dusted it all over the lids, cheeks and even brows. But for real life, it can translate into a super-pretty nighttime eyeshadow look that's so much more interesting than matte smokies. 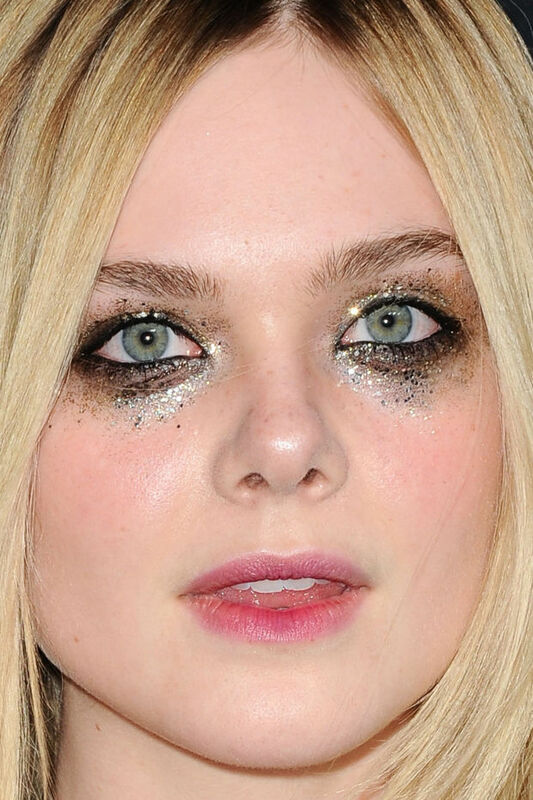 Elle Fanning at a 2016 Saint Laurent show. Okay, most of us probably won't want to go this far—she stays very true to the catwalk interpretation, placing the glitter in a messy way all the way around her eyes. This is one of my favourite creative makeup looks of 2016! Kendall Jenner at the 2015 launch of Modern Muse Le Rouge. See, it's just a light sprinkling of gold glitter at the inner corners of the eyes. So pretty with long lashes, peach lip gloss and matching eyeshadow. Love this! Rose Byrne at the 2013 New York screening of 'I Give it a Year'. She went for an iridescent lilac glitter and applied it in a more concentrated way all around the inner corners of her eyes. It's unexpected but still extremely wearable, with soft peach lips and cheeks. The makeup look at Nicole Miller for fall 2016. 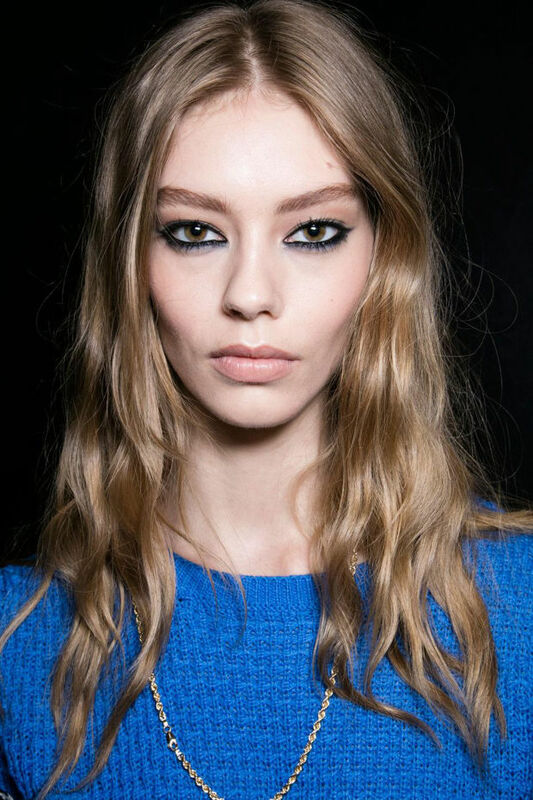 If you're going to wear eyeliner this fall, make it a black one. Designers showed it both graphic and smudgy, so there wasn't one specific application technique. Personally, I think smudging is far easier and more wearable. Just grab your smudger brush (such as Make Up For Ever's) and you're good to go. As you can see, she concentrated the black liner underneath her eyes for almost a reverse smoky eye effect. Lashes are natural, and lips and cheeks are soft and pinky, so the focus stays on her gaze. Let's ignore the lashes (they're a bit much!) 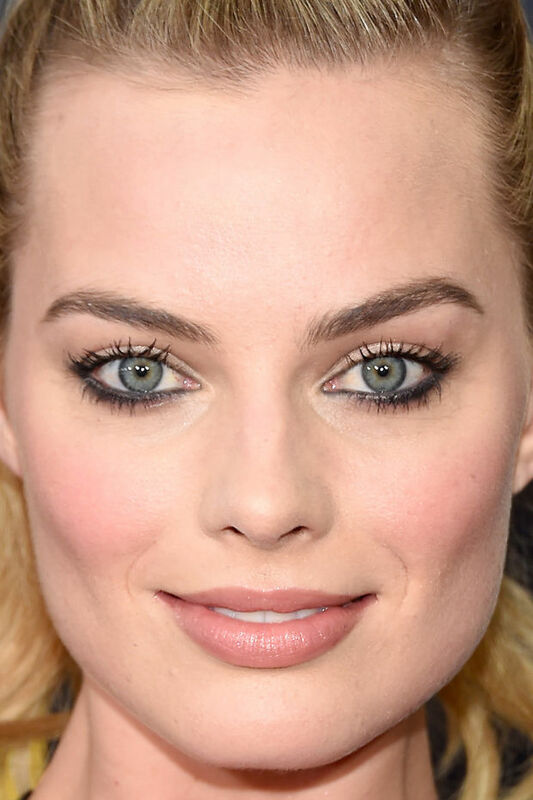 and instead focus on her black liner, all the way around in her waterlines. It's smudged out to create a smoky effect—this always looks impressive, but is actually a super-easy technique.